Lions successfully released to roam within Samara Private Game Reserve. A key milestone reached for lion conservation in South Africa. 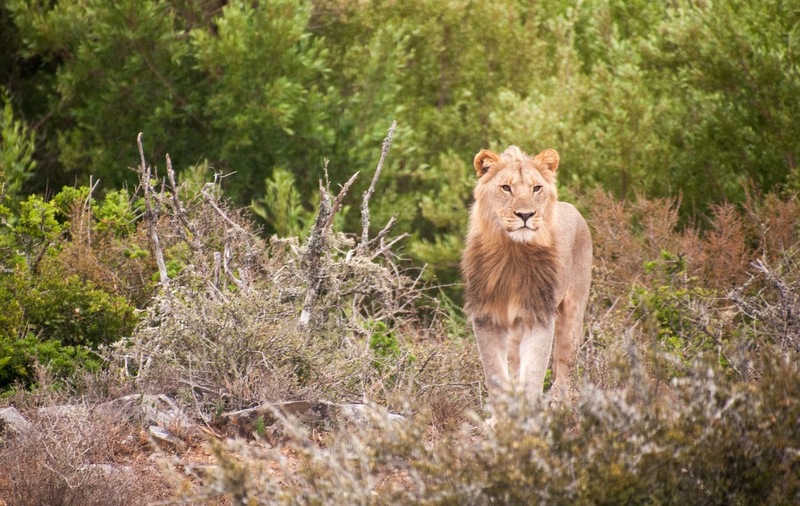 In December 2018, Samara Private Game Reserve became home to a founder pride of lions – relatives of the majestic Cape lion that roamed the Great Karoo more than 180 years ago. As part of a pioneering project to return the Karoo to the state of true biodiversity it once enjoyed, the lions were initially kept in an enclosure on Samara to ensure their wellbeing and to bond them together as a pride. On 15 January 2019, they were successfully released into the reserve – marking a major milestone not only for Samara, but also for South African wildlife conservation. According to Samara founders, Mark and Sarah Tompkins, the lions’ movement, feeding and breeding patterns will be monitored through satellite technology and by researchers on the ground. 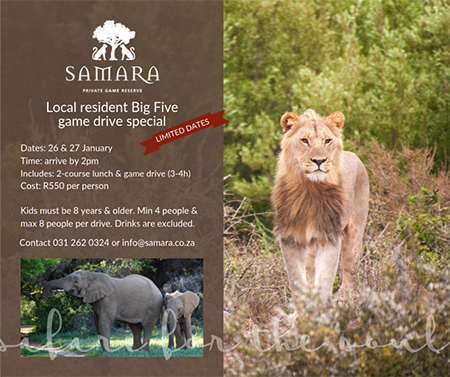 The reintroduction of lion will transform Samara into a ‘Big Five’ game reserve, as elephant, buffalo, black rhino and leopard are already present. Beyond this, the reintroduction is critical for several reasons. Firstly, there is an urgent need for conservation initiatives targeting lions: the species has dwindled by 43% in the past 20 years, so that current lion populations are estimated at between 20 000 and 30 000. Threats to the species include conflict with humans, depletion of their prey base due to habitat loss and the bushmeat trade, and the illegal trade in lion bones for traditional medicine in the Far East. In South Africa, the greatest challenge is arguably posed by the ‘canned lion’ industry, whereby cubs are bred in captivity, often hand-reared, only to later be shot by trophy hunters in small enclosures. These lions have no conservation value. This emphasises the need to create well-managed meta-populations – in other words, spatially separate groups that allow for translocations to ensure genetic diversity and to establish founder populations in areas where lions once thrived, but have since been wiped out. Samara is a case in point: Historical records indicate that the last wild lion in the area was seen in 1840. From the reserve’s perspective, the project also advances the Samara vision: to transform the area into a fully restored and functional Great Karoo ecosystem. Notably, the new lion population means that the ecosystem has an apex predator, and positions Samara one step closer to achieving its ultimate goal of establishing a series of ecological corridors and public-private partnerships and to establish conservation as a viable land-use. "The successful reintroduction of lions gives us the opportunity to study what happens when a top predator returns to an ecosystem. Besides that, we can't wait to hear their roars echoing through our valleys!” concludes Sarah Tompkins.